WASHINGTON, D.C. – (RealEstateRama) — Independent mortgage banks and mortgage subsidiaries of chartered banks reported a net gain of $480 on each loan they originated in the third quarter of 2018, down from a reported gain of $580 per loan in the second quarter of 2018, according to the Mortgage Bankers Association’s (MBA) newly released Quarterly Mortgage Bankers Performance Report. Average production volume was $474 million per company in the third quarter of 2018, down from $531 million per company in the second quarter of 2018. The volume by count per company averaged 1,948 loans in the third quarter, down from 2,180 loans in the second quarter. For the mortgage industry as a whole, MBA estimates production volume in the third quarter was slightly higher compared to the previous quarter. The average pre-tax production profit was 20 basis points (bps) in the third quarter, down slightly from an average net production profit of 21 bps in the second quarter, and down 21 bps from the third quarter of 2017. The purchase share of total originations, by dollar volume, increased to 82 percent in the third quarter, its highest level since inception of the study in the third quarter of 2008. For the mortgage industry as a whole, MBA estimates the purchase share at 76 percent in the third quarter. The average loan balance for first mortgages reached a study high of $255,539 in the third quarter, up from $255,136 in the second quarter. The average pull-through rate (loan closings to applications) was 75 percent in the third quarter, up from 72 percent in the second quarter. Total production revenue (fee income, net secondary marking income and warehouse spread) increased to 358 basis points in the third quarter, up from 347 bps in the second quarter. On a per-loan basis, production revenues increased to $8,654 per loan in the third quarter, up from $8,458 per loan in the second quarter. Net secondary marketing income increased to 280 basis points in the third quarter, up from 271 bps in the second quarter. On a per-loan basis, net secondary marketing income increased to $6,802 per loan in the third quarter from $6,650 per loan in the second quarter of 2018. Total loan production expenses – commissions, compensation, occupancy, equipment, and other production expenses and corporate allocations – increased to $8,174 per loan in the third quarter, up from $7,877 per loan in the second quarter. For the period from the third quarter of 2008 to the present quarter, loan production expenses have averaged $6,312 per loan. Productivity decreased slightly to 1.9 loans originated per production employee per month in the third quarter, down from 2.1 in the second quarter. Production employees includes sales, fulfillment and production support functions. Including all business lines (both production and servicing), 71 percent of the firms in the study posted pre-tax net financial profits in the third quarter, down from 77 percent in the second quarter. MBA’s Mortgage Bankers Performance Report series offers a variety of performance measures on the mortgage banking industry and is intended as a financial and operational benchmark for independent mortgage companies, bank subsidiaries and other non-depository institutions. Eighty percent of the 342 companies that reported production data for the third quarter of 2018 were independent mortgage companies, and the remaining 20 percent were subsidiaries and other non-depository institutions. There are five Mortgage Bankers Performance Report publications per year: four quarterly reports and one annual report. Media wishing to view a copy of either report should contact Adam DeSanctis at (202) 557-2727 or "> . To purchase or subscribe to the publications, call (202) 557-2879. 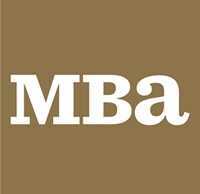 The reports can also be purchased on MBA’s website by visiting www.mba.org/PerformanceReport.